Samsung issued an alert to customers on Monday, asking people worldwide to immediately turn off their Galaxy Note 7 smartphones — which have been spontaneously catching fire. What a colossal disaster for Samsung. They were unable to even supply working phones to replace the ones that were returned. Production has been completely terminated. I just finished a good book, Seoul Man, about an American who goes to work for Hyundai. Not sure why it's taken so long to issue this statement. I remember hearing announcements at the airport in September, asking passengers to switch off their note 7. Mind you, it's the battery manufacturer that screwed up, not Samsung. He looks fine. 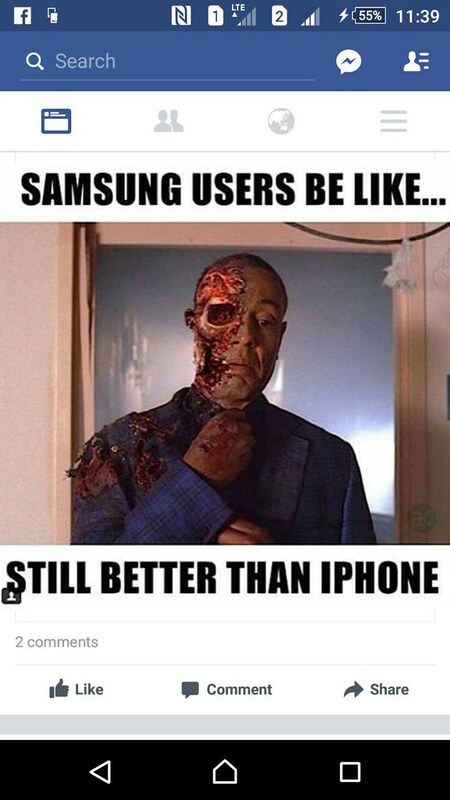 He could have lost half his brain and he'd still have more left than the average iPhone user.